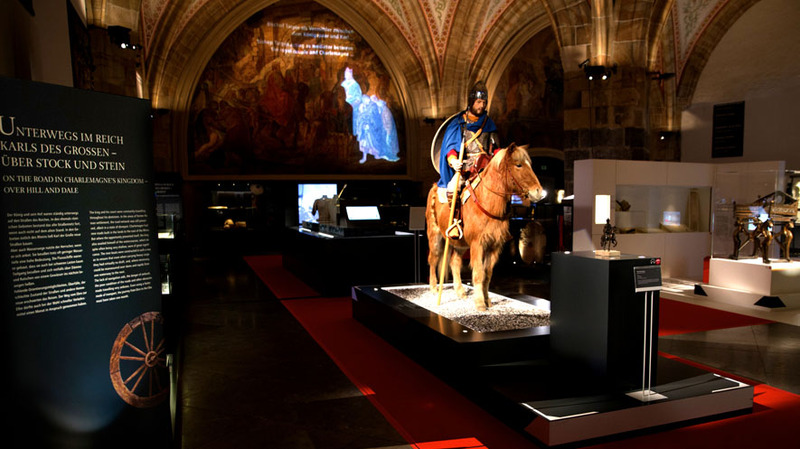 The largest special exhibition focusing on Charlemagne in Aachen was held in the Coronation Hall in Aachen City Hall. 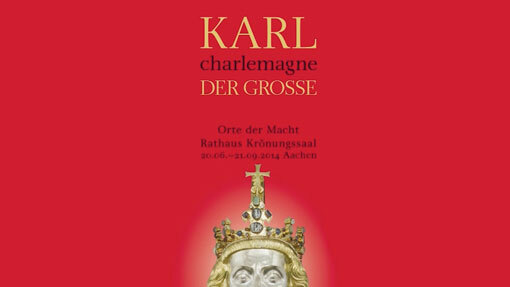 It invited visitors to explore courtly life in Carolingian times, showed Charlemagne as a king and military leader travelling between imperial palaces, used archaeological and art-historical evidence to outline the material foundations of his rule and provided an insight into the external role models that motivated him to create a ‘place of power’ in Aachen. 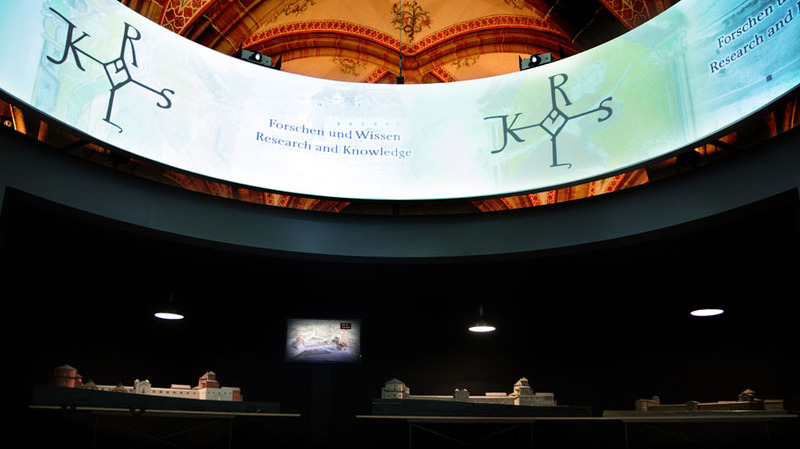 The media presentations not only provided visitors with in-depth factual information, but also enabled them to experience elements of popular science by offering different depths of information ranging from striking demonstrations through to a variety of educationally oriented informative displays depending on the topic in question. 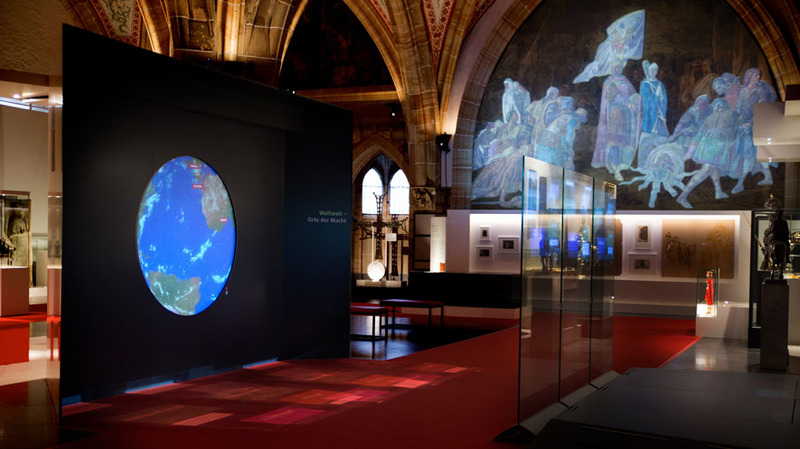 In order to make the exhibition as attractive as possible, these were additionally joined by four complex media installations. 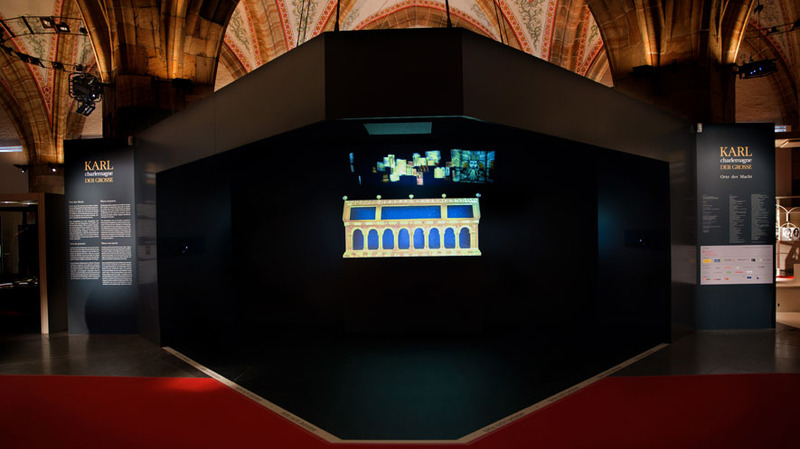 Upon entering the hall, visitors were first greeted by an elaborate 3D visualisation of the shrine of Charlemagne in Aachen Cathedral in order to acclimatise them to the atmosphere of the exhibition. 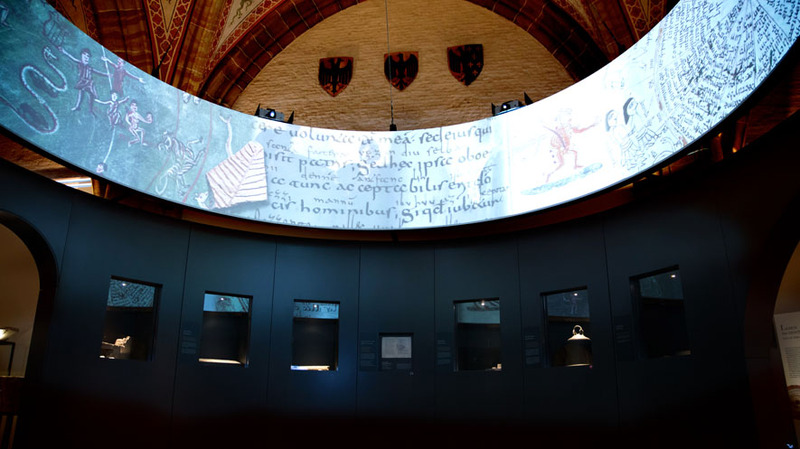 In the middle of the exhibition, a video panorama with a diameter of 5.50m presented life in the Palace of Aachen. 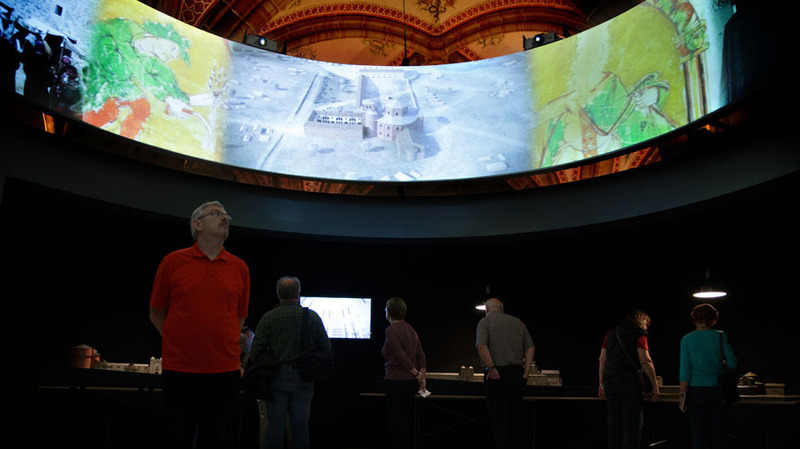 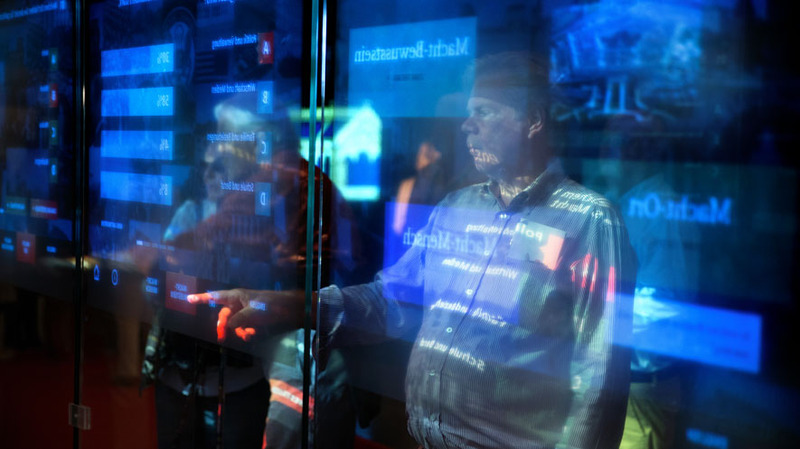 At the end of their tour of the exhibition, visitors were able to view two interactive large-format installations that focused on the nature of the phenomenon of power in the present day and gave visitors the opportunity to actively participate in this discussion. 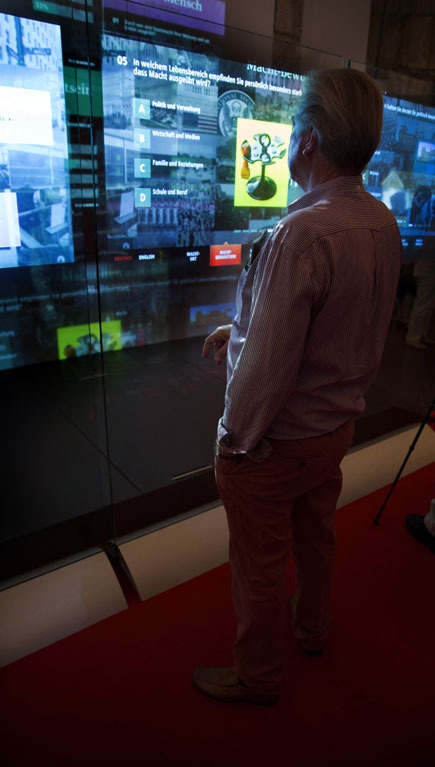 235 MEDIA was involved in the concept development and detailed planning of the exhibition and was responsible for the technical planning, media planning, and screen design of every interactive media installation. 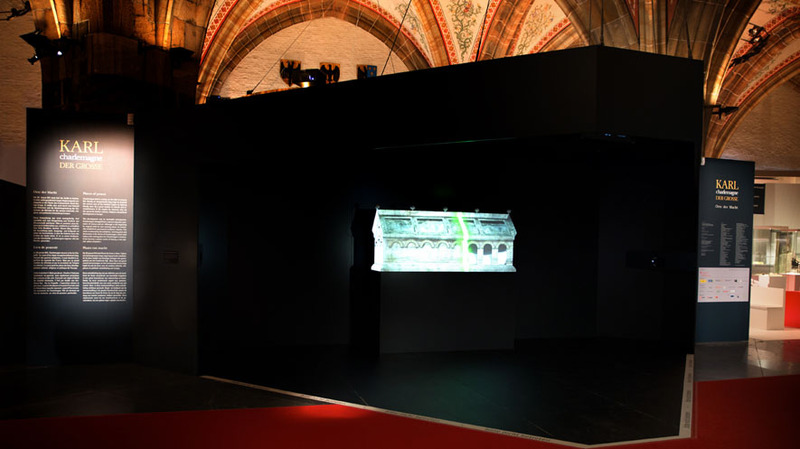 In collaboration with Dr. Ulrich Hermanns Ausstellung Medien Transfer and cultural institution of the city of Aachen, Prof. Dr. Pohle. 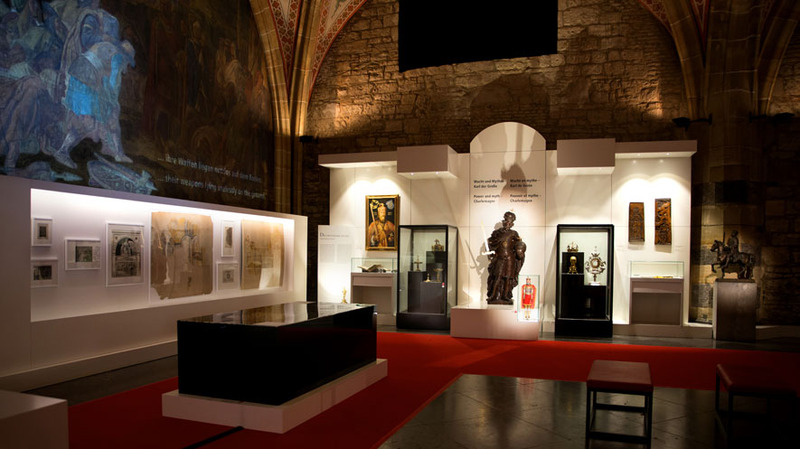 The exhibition was open to visitors in the Coronation Hall of Aachen’s historic City Hall from 20th June to 21st September 2014.